Flag of the European Union flutters on the blue sky, slow motion. A blue flag with yellow stars in circles - the EU symbol winds in the wind. hd00:12Flag of the European Union flutters on the blue sky. A blue flag with yellow stars in circles - the EU symbol winds in the wind. hd00:59Flag of the European Union flutters on the blue sky, slow motion. 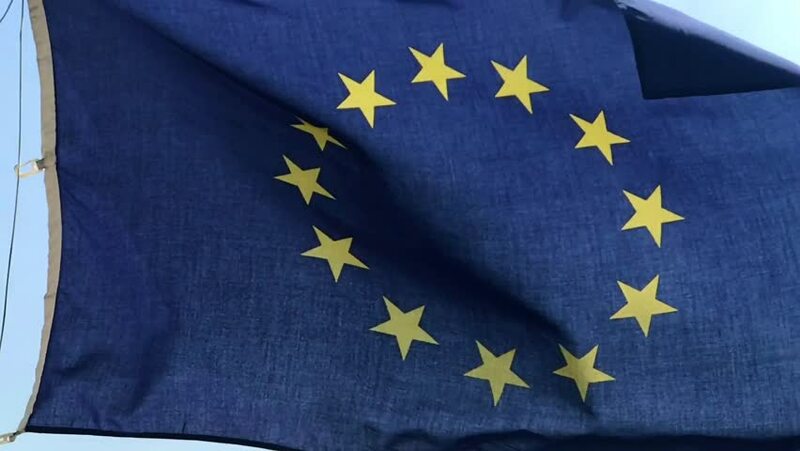 A blue flag with yellow stars in circles - the EU symbol winds in the wind.